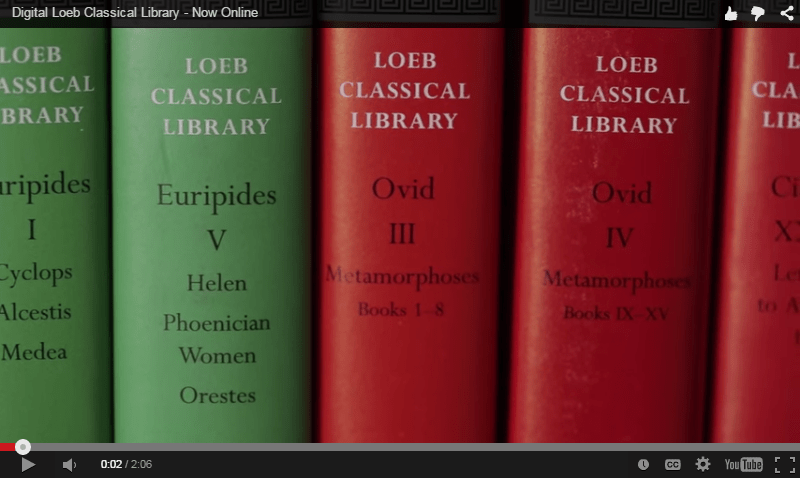 Ohrstrom Blog » Blog Archive » Loeb Classical Library – 1 year in. Loeb Classical Library – 1 year in. Last year the library began its subscription to the Loeb Classical Library. Over this past year the Loeb eBooks have been opened 1411 times in this inaugural year, (with 715 of those being in the month of October 2015). Digital Loeb Classical Library – Now Online. Prod. Harvard University Press. YouTube. 16 Mar. 2014. Web. 01 Dec. 2015. <http://youtube/ uQYy3Yml5r4>.